Father’s Day is approaching quickly, so it’s time to start thinking about the perfect gift for this special occasion. Although fathers appreciate traditional gifts emblazoned with “World’s Greatest Dad”, your special guy deserves something a little different this year. Give him something as unique as he is! This is no ordinary set of grilling tools. 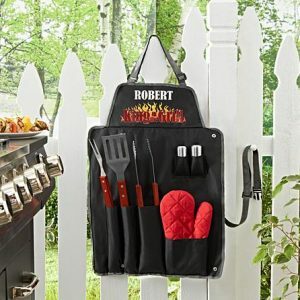 This personalized nylon apron has special pockets to hold the included utensils: slotted spatula, BBQ fork, grip tongs, oven mitt and salt and pepper shakers. Dad will have everything within reach while grilling. Add up to 10 characters for a personalized name to go along with the already included “King of the Grill” phrase. Not only is this apron handy, it’s sure to make a great conversation piece! Put a fun twist on a traditional game by playing KanJam. Rather than throwing the disc back and forth, KanJam requires teamwork and skill. Throw the disc in the target (kan) to score points in this 4 player game. Everyone will have hours of fun with this portable backyard activity. Allow Dad to show off his well-manicured lawn while playing this fun game with the family. The sound is as powerful as the name! Kick off your Father’s Day party with this portable stereo. Bluetooth connectivity feature allows you to play your own music or stream from online four-way speakers and a subwoofer gives a listening range of up to 150 feet. Use Bosch 18-volt batteries or plug it into a 120-volt AC outlet. The Power Box 360 is also great for camping, job sites, and tailgate parties. A gift dad won’t forget! 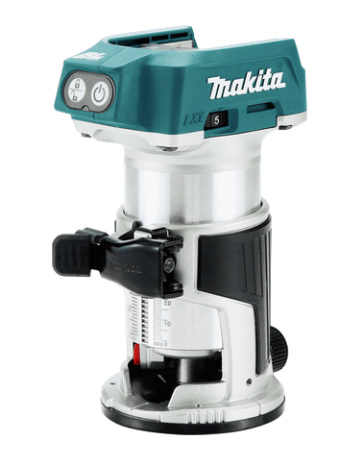 Every man loves his power tools, especially convenient ones. Cords on a router can get snagged and become a nuisance. Eliminate the annoyance with this model that features powerful, corded performance without the hassle of a cord. This router also boasts smooth, precise cutting to meet the demands of the project. Safety on/off switch prevents accidental tool start-up. Now, this is just plain cool. 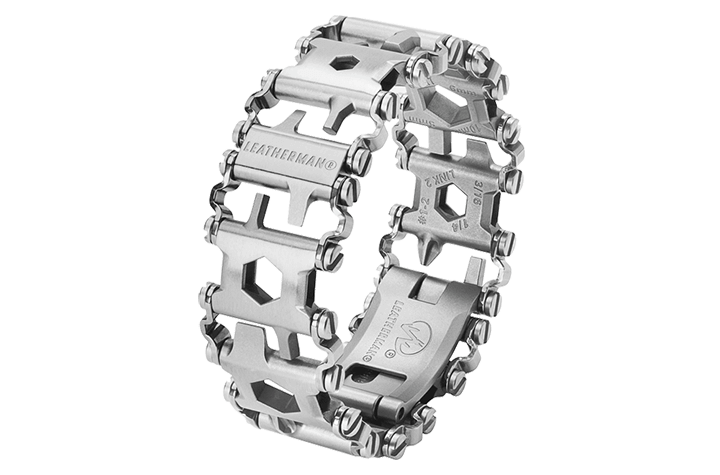 Dad can wear this stainless steel bracelet that doubles as a detachable toolset. Forget running inside to grab the toolbox, he’ll have 29 unique tools literally on hand. Useful tools such as a bottle opener, cutting book, and screwdrivers are just a few of what the Tread has to offer. You must see it to believe it, and it’s a must-have gadget for every guy! If your dad loves working in the yard, this dump cart is a helpful friend. With a 1,200-pound hauling capacity, he’ll be sure to get even the bigger projects finished with ease. Pull loads of dirt, mulch and other yard necessities with the steering handle, or hook it to the back of a lawn tractor for hauling distances. This cart makes a helpful alternative to the traditional wheelbarrow with its sturdy, 4-wheel design. Weeds beware! 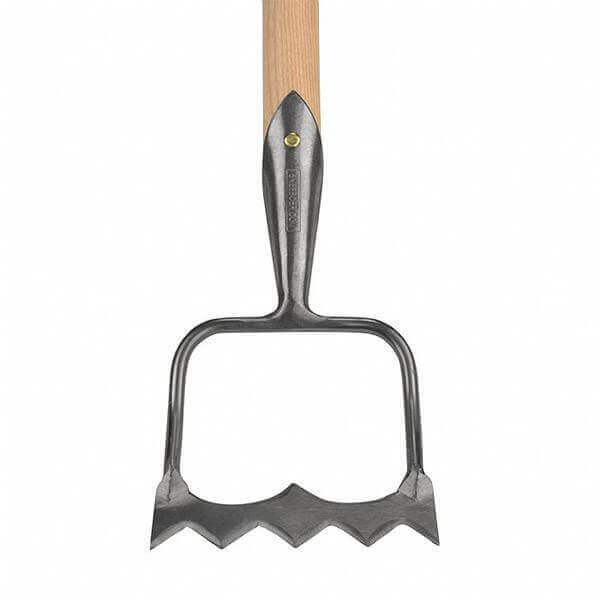 If you know a dad who is a meticulous gardener, this unusual looking weeding tool is a must. Unlike the conventional gardening hoe, the crown-shaped blade on this item cuts weeds and prevents them from sliding off. The handle style is a pistol grip design for added comfort. Each tool is carefully hand-made for optimum quality. Outdoorsmen will love this camp chair that has been taken to a whole new level of convenience. Weighing in at just 2.5 pounds, this compact chair is made of Rip-Stop fabric and can support up to 250 pounds. It folds up into its own tripod base and is built with a height that is easy to get in and out of. Whether he wants to camp, sit at a sports game, or just relax in his own backyard, your dad will love this lightweight, user-friendly seat. Dad works hard and will love to relax in this screened-in hammock. 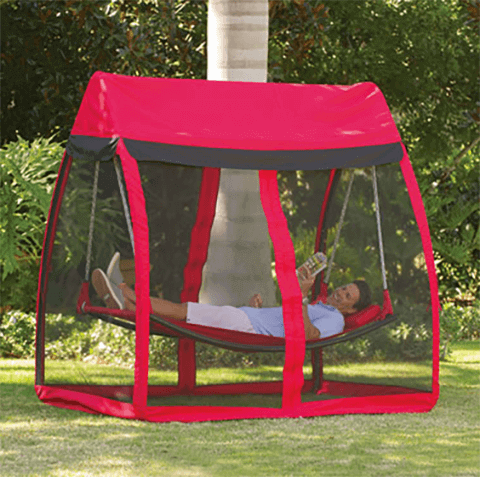 No pesky bugs will bother him and the covered top will keep him cool and shaded. The screen unzips from two sides to make an easy entrance and exit. Hammock holds up to 225 pounds and includes a pillow for napping or reading comfort. This workbench comes with a built-in 14 Watt fluorescent light so Dad won’t have to work in the dark. Heavy duty and durable, this bench also comes equipped with a 120V outlet for power tools, a pegboard for organizing, and shelves and drawers for extra storage. The perfect workspace for the perfect guy! Father’s day is Sunday, June 16th. 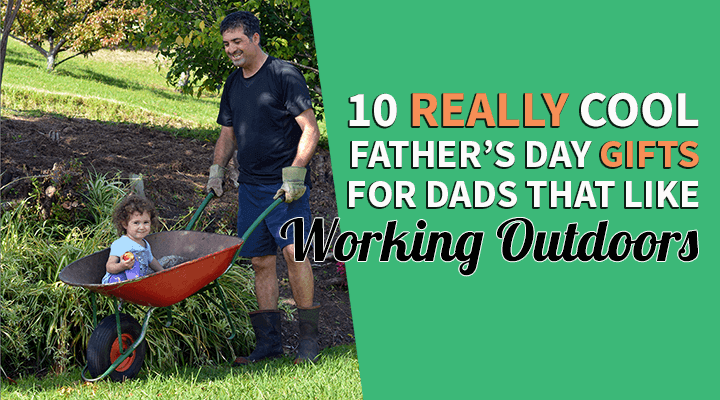 Don’t forget your hard-working Dad this year and get him something he will love and use.